MiniVerde® is the leading provider of Bermudagrass greens for golf courses. Championship courses around the country are choosing MiniVerde® for the fastest and most durable putting surface available. MiniVerde® will supply everything you’re looking for in a golf course green, including its incredible ball roll, shade and disease tolerance, weed tolerance, tight canopy, deep rooting, and dark green color. 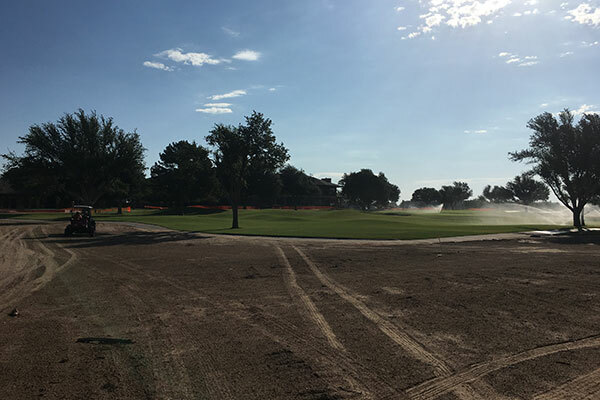 Additionally, having served some of the largest and most established golf courses throughout the country, MiniVerde® producers provide excellent customer service in helping you create the finest putting surface at your golf course. Website artwork, text and images Copyright © 2016 MiniVerde. All rights reserved. Reproduction, adaptation and public display, in whole or in part, are prohibited under penalty of law. The name KING RANCH and the RUNNING W® Design are the exclusive trademarks of King Ranch IP LLC registered in the United States Patent and Trademark Office and shall not be used without express written authorization. (800) 282-5464.